Windows 10 Mobile build 10.0.15063.540 is now available for download. The company also rolled out update KB4034674 (OS Build 15063.540) for PCs. The latest update brings bug fixes and improvements to the mobile devices. There are unofficial reports that the latest Cumulative Update has brought support for Fitbit devices to Windows 10 Mobile users. The latest Mobile build 15063.540 will now allow notifications from your Windows Phone to show up on your Fitbit. Previously, the feature was in open beta for Windows 10 Insiders. Windows 10 Mobile build 10.0.15063.540 fixed an issue where the policies provisioned using Mobile Device Management (MDM) should take precedence over policies set by provisioning packages. Fixed issue where the Site to Zone Assignment List group policy (GPO) was not set on machines when it was enabled. Fixed an issue where the AppLocker rules wizard crashes when selecting accounts. Fixed an issue where the primary computer relationship is not determined when you have a disjoint NetBIOS domain name for your DNS Name. This prevents folder redirection and roaming profiles from successfully blocking your profile or redirects folders to a non-primary computer. Windows 10 Mobile build 10.0.15063.540 fixed an issue where an access violation in the Mobile Device Manager Enterprise feature causes stop errors. Windows 10 Mobile build 10.0.15063.540 also includes security updates to Microsoft Edge, Microsoft Windows Search Component, Microsoft Scripting Engine, Microsoft Windows PDF Library, Windows Hyper-V, Windows Server, Windows kernel-mode drivers, Windows Subsystem for Linux, Windows shell, Common Log File System Driver, Internet Explorer, and the Microsoft JET Database Engine. 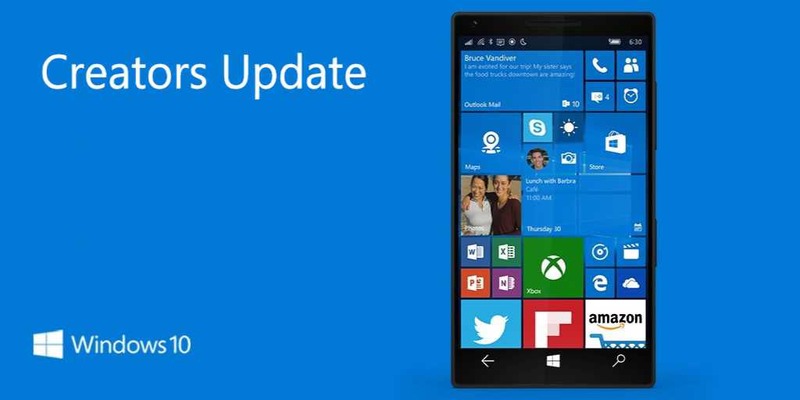 Check your device update and download latest Windows 10 Mobile build 10.0.15063.540. Vzf0i4 This is very interesting, You are a very skilled blogger. I ave joined your rss feed and look forward to seeking more of your magnificent post. Also, I have shared your website in my social networks!